Home Events news Sound Tulum Music Event Esto es Tulum: Four week music festival in the most exotic and magical places of the indigenous culture. Esto es Tulum: Four week music festival in the most exotic and magical places of the indigenous culture. It's always special when you talk about Tulum, for any activity that you visit the place, it is incredible. This is because is truly a reference to one of the most exotic and magical places of the indigenous culture. Definitely the energies that you feel been there are a unique experience, all combined with a place that i cant describe, the word i would use is PARADISE. And with all that, It is here where SOUND TULUM Music Event is born and born as a unique and exceptional event due to the fact that it is celebrated in an extraordinary geographical point that will position Mexico in the epicenter of electronic music. But talkin about the festival itself, the staff begins the festival description with a particular phrase/question, "Can you imagine being part of the beginning of something unique? music can achieve incredible things..." And the true is that i cant imagine, thats what makes it a must in my festivals whislist. I invite you to this, i want to go to this, its Mexico and Tulum is definitely the best place to get lost with techno and house music, and the best part of it, its a FOUR WEEK festival, so it could be one of the fullest and best experience ever, talking musicaly. Confirm your attendance and get more info about tickets at the official Facebook Event. Did you know that Tulum is the only Mayan city built on the coast? Its location between cliffs facing the Caribbean makes it special. 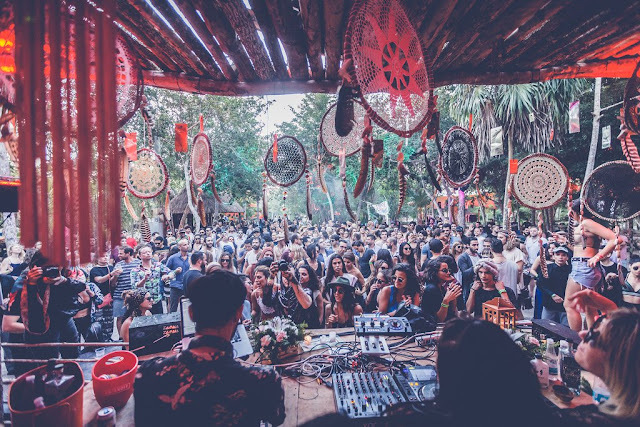 Picture taken at the First edition of Sound Tulum Music Event. Overview: Speak about Tulum is to make reference to one of the most exotic and magical places of the indigenous culture. 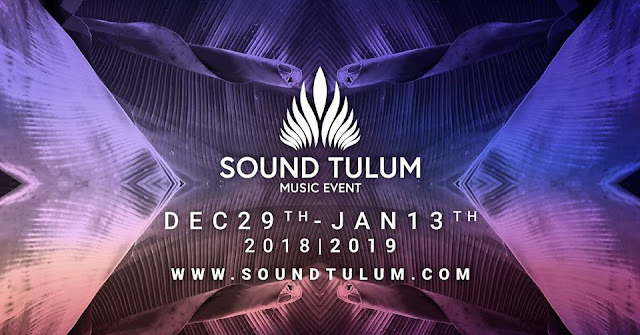 It is here where SOUND TULUM Music Event is born and born as a unique and exceptional event due to the fact that it is celebrated in an extraordinary geographical point that will position Mexico in the epicenter of electronic music. After an amazing first edition, we are pleased to bring back SOUND TULUM as the point of union and harmony between promoters, artists and brands of the underground electronic music industry worldwide, all gathered in this strategic point of the world, to celebrate a series of events that are will develop in the most incredible and unimaginable locations of the Mayan Riviera from December 29th, 2018 to January 13th, 2019. And not only that, because SOUND TULUM will also support social projects in benefit of the Mayan indigenous community. 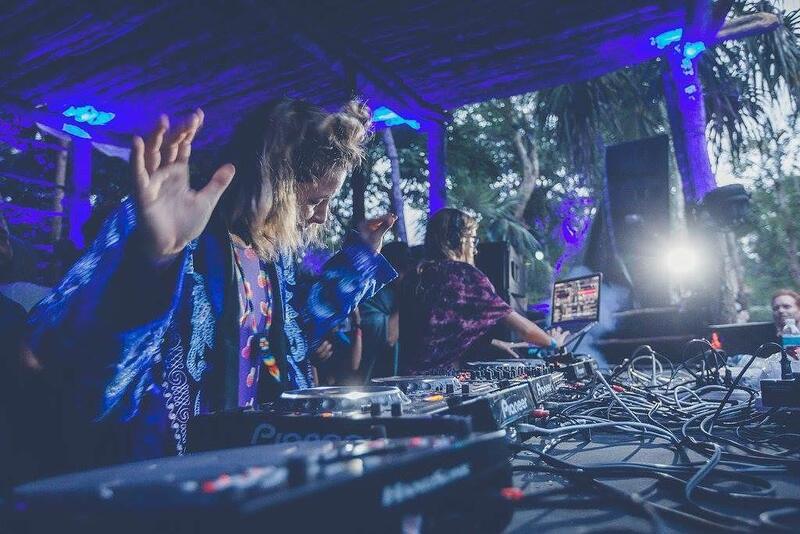 Immerse yourself in a new musical and sensory experience in the magical and paradisiacal Tulum, whether on an island in the middle of the jungle, a secret lagoon or inside a cenote. Undoubtedly, this is a great step for electronic music in Mexico, in addition to a firm bet, to demonstrate that the country is more than capable to develop world-class events and in the near future expand to other parts of the planet. 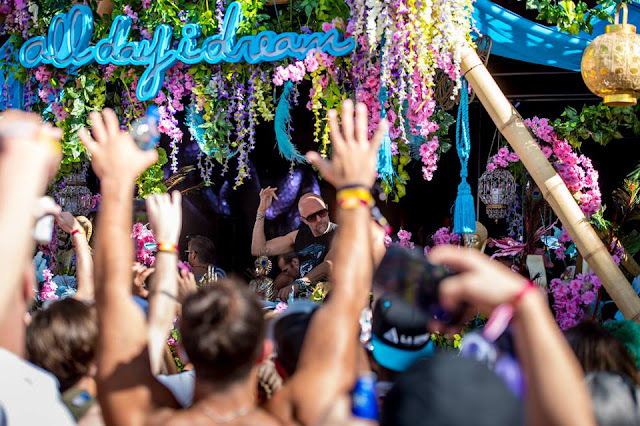 The festival will feature Ibiza legends Circoloco opening and closing the event with artists such as Damian Lazarus, Seth Troxler, Job Jobse, Blond:Ish, Gerd Janson, Adam Port, William Djoko, Asobital, and a huge New Year’s Eve party with The Martinez Brothers who will play an extended 12 hour set. Other highly-respected brands that will curate parties include Bedrock, Luciano & Friends, Last Night on Earth, Do Not Sit On The Furniture, Muse, ANTS, Acid Sundays and its own “Esto es Tulum” event series will take place in and between, featuring artists such as Luciano, John Digweed, Sasha, Behrouz, Steve Lawler, Matthias Tanzmann, Andrea Oliva, Lehar and Kintar. Ticket sales and more detailed information regarding this second edition and its novelties will be announced soon.